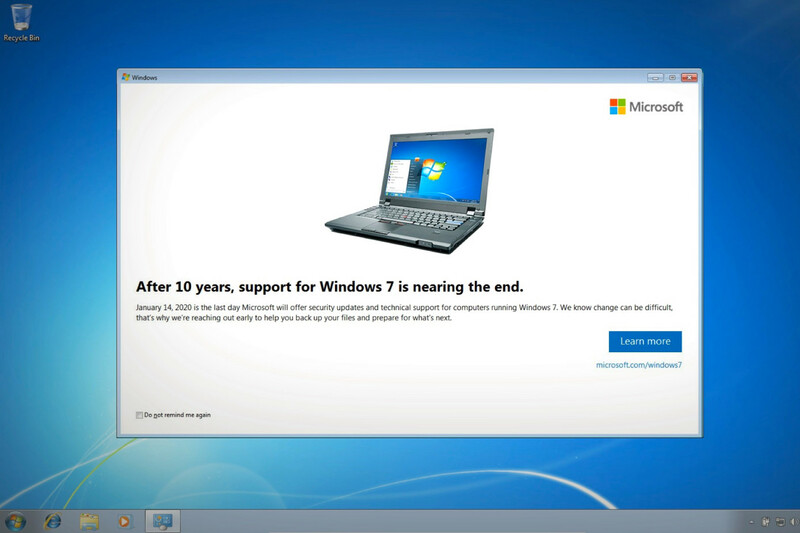 Earlier this month, Microsoft had said that starting from April it will begin notifying Windows 7 users to upgrade to Windows 10 considering the user-favorite operating system is going out of support on January 14, 2020. Microsoft has started rolling out a fresh new patch today for Windows 7 that enables these reminders. This will again push the Windows 10 upgrade alerts on Windows 7 machines. However, this time these alerts won’t (hopefully) nag you like the last time as the company has promised to show them only a handful of times and give users control with a “Do not remind me again” checkbox. The Windows maker said it “strongly recommends that you move to Windows 10 sometime before January 2020 to avoid a situation where you need service or support that is no longer available.” If you are worried about paying for Windows 10, several users have managed to upgrade to Windows 10 for free by using their Windows 7 keys.